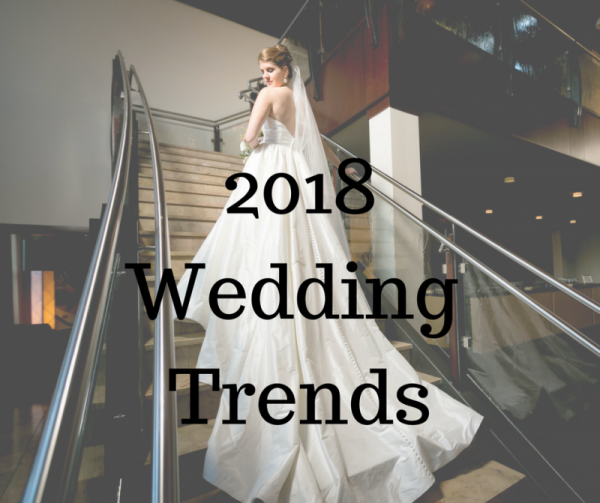 2018 has some new and notable standout bridal trends, which include a few revivals, but with fresh twists. Fashion: Not to worry, the classics never die but in 2018 if you are looking for something new, fresh or bold there are several trends we are anxious to see. Separates are still very popular not only in dresses but in pant suits as well. You can dress it up or take on a more casual feel. Capes are in, especially for those who are always cold. Great for the fall season for the full length capes or a short one for ceremony and then remove for the party! Two looks in one. Oversized bows are back for those who like the Old Hollywood glam or try some non- traditional jewelry. It’s your day, don’t limit yourself, go bold! Colors: Vintage and rustic themes are still very popular, but a few new color schemes have been popping up here at the foundry. We have to admit, we love the metallics mixed in with the color schemes. Pops of silver, copper and golds look great in the venue mixed with anything from pastels to deep purples and reds. Any color combination goes at the Foundry, which is what makes for unique and extraordinary celebrations. 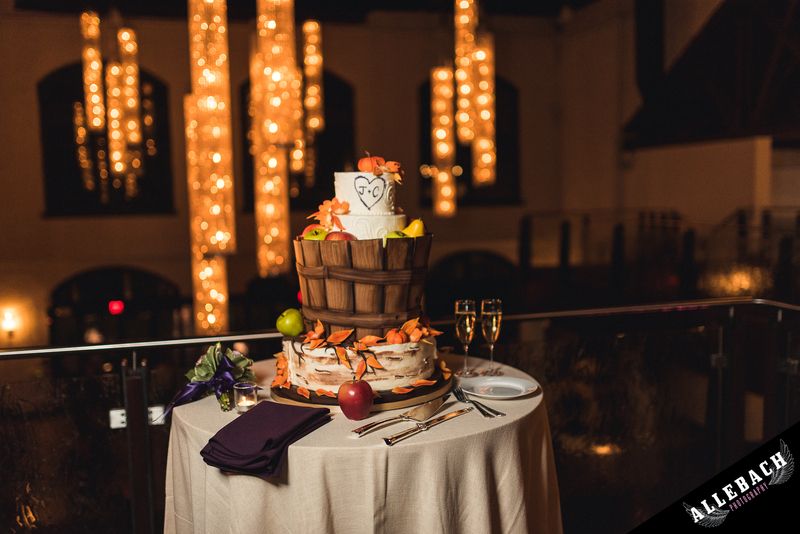 Cakes: Cakes have really become the statement piece of the wedding. While some have done away with the traditional cake, more and more are going for “Show Stopping” displays. 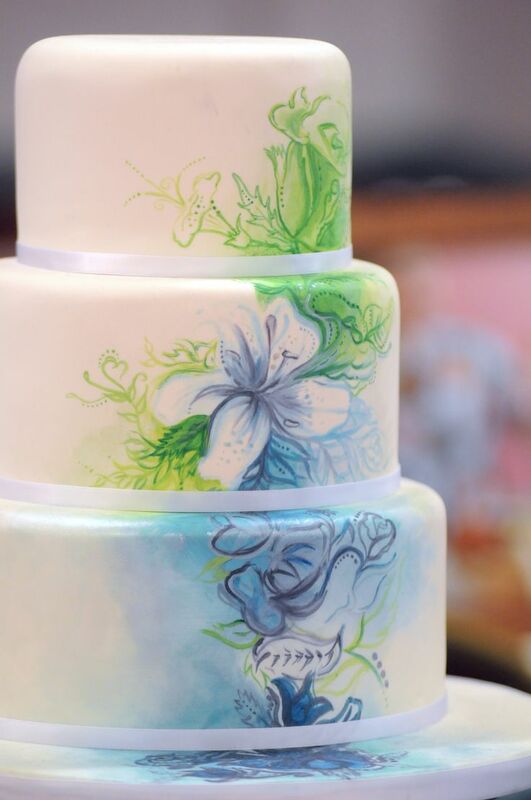 Hand painted cakes such as floral or watercolor designs are beautiful and will WOW your guests with color and artistry. 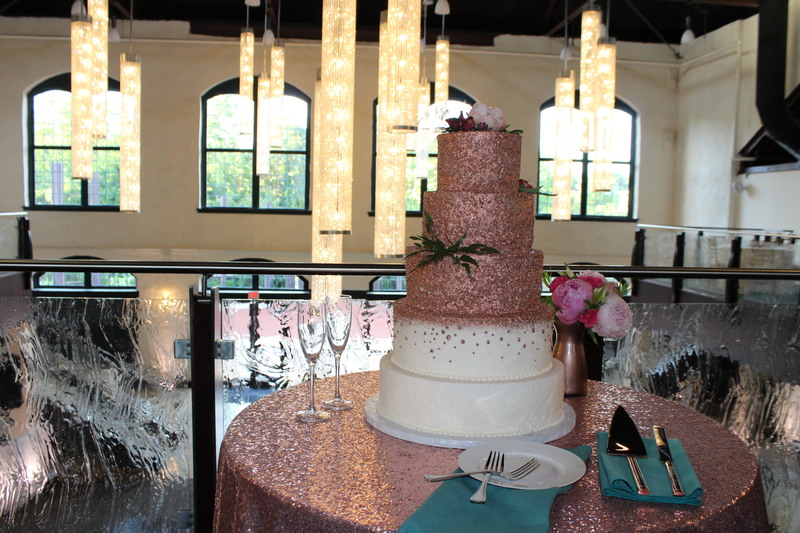 Metallics are also a great way to incorporate some bling to your wedding and really make your cake shine! As the wedding planning phase begins, we share these wedding trends with you as you look for your own wedding inspiration. Be unique and have fun but most of all be YOU!